Do you love your C4 glass top but hate baking in the sun? We've got the fix for you. 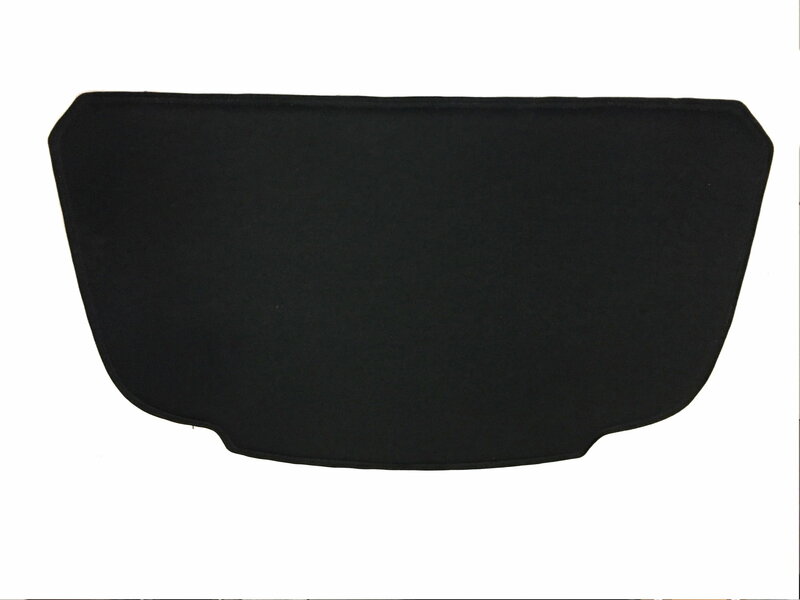 This sun shade blackout is made of a heavy fabric with a plastic backing as seen. Simply snaps into place with plastic tabs built into the liner for a sun shield that'll keep you cool! This is not one of those cheap vinyl blackouts. This is a heavy-duty, fabric and plastic blackout panel. Very nice quality piece. Like us on www.facebook.com/rpidesigns and you might win $100. Our brand new C7 Corvette Z06 Style Side Skirts come painted in Carbon Flash Metallic, see them here! 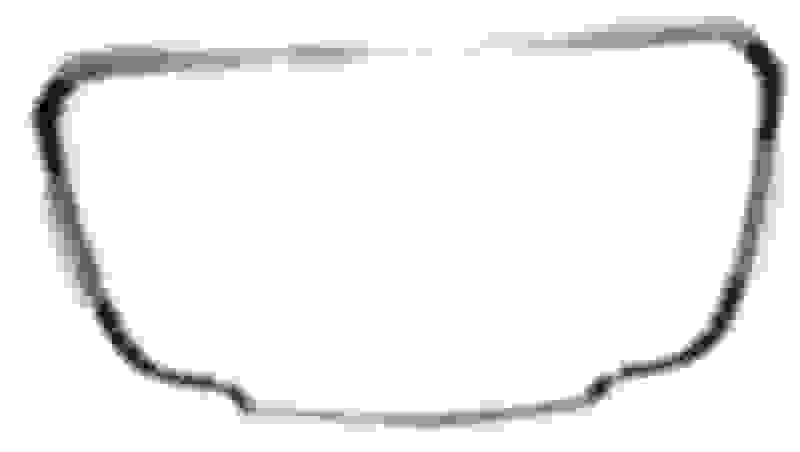 Why is the side that faces the top whiite and unfinished looking? Can it be seen through the clear top that way? I ordered one and it arrived yesterday. The white side is visible from outside but barely, and you have to look closely. My problem was with the fitment. The shade would not fit because the plastic tabs were too long. So trimming them was easy and it now fits in place. However, it sags in the middle and does not follow the contour of the glass at all. Ok, so I thought I’d install a couple of Velcro buttons to hold it to the glass. The idea worked ok but the Velcro adhesive did not adhere to the glass (acrylic I guess) top. So this unit is back in the packaging for now. If I can find better Velcro, I may try again. It looks ok in place but the sag is unacceptable for me. Sorry RPI but I can’t say I’m very pleased with this product. Last edited by Drifter36; 09-30-2017 at 12:53 PM. I just ordered one on EBay from XYZ - I was curious about the possibility of slag in the middle - you just confirmed that - I have already applied black vinyl material on the underside of the glass and will also apply Velcro or double sided carpet tape to the center section area to assure there's no sagging in the middle - I've also ordered some white vinyl "wrap" to apply to the topside so I'm not concern with anything showing from above - but I'll install the interior part before hand and report back if it's noticeable thru the plastic top - thanks. I ended up painting the tabs black and I put a 2" x 4" velcro piece in the center - the results are excellent - it's even a little cooler inside too - win win! Interesting. Is the velcro and the white backside visible from the outside on yours? Can you now see the velcro sticking to the clear top from out side? no - because I applied black vinyl on the underside before hand - I no longer like sunroofs so I did this after buying the car - the insert really makes it look like a headliner now. I bought one exactly like this years ago and had the same problem. I finally threw it away this year. Although it's not terribly expensive, I think for the money you pay for a product, you shouldn't have to modify it to make it work like it's supposed to in the first place. Maybe the factory targa roof's are a different size in Taiwan? No dog in this hunt but, it concerns me that a Platinum Supporting Vendor appears to have totally ignored customer concerns in this thread. For me, that's a huge issue when it comes to me ordering something. Hopefully an oversight? I thnk they'd sell a ton of them if they fit correctly without having to cut and alter the edges. It sounds like poor quality control. I agree, not for nuthin', but how about a response to the several similar concerns about the product as received out of the box instead of just another coupon code. Use coupon code LANA5 to save 5% off your order! Maybe check out reply # 18? We do not make these covers here at our shop. We get them from another Corvette parts supplier. If we had a C4 Corvette we could use I am sure we could get any of these problems sorted out even if it means opening up the boxes and modifying them before they get sent out. If you do not plan on removing the top once you have installed it you could use 3M VHB tape to hold it in. The tape is super strong (We use it on all kinds of parts here at the shop) and it is clear so it would not be noticeable unless you got right up on it and looked for it.